What began as a humble home business in 1987 is now a leading cabinet and kitchen manufacturing company in Adelaide. The company, Geddes Kitchens, with modern premises is located at Cheltenham which incorporate the factory and showroom. A full range of kitchen styles are offered, with materials from the basic laminates and veneers to solid timbers and modern lacquers or the latest European trends incorporating stainless steel, glass, granite or man-made stones. Personal involvement, attention to detail and a commitment to customer service are all part of the company’s philosophy, staff say – backed up by competitive pricing and quality work. Geddes Kitchens offers a full range of Australian and imported laminates and quality German hardware products. Plumbing, electrical, tiling and associated building work can be arranged, with installation by qualified tradesmen. A state of the art computer design service provides 3-D perspectives of how the finished product will look. With 17+ years in the cabinetmaking industry, Precise Kitchens and Cabinets are knowledgeable and trustworthy kitchen professionals. The passion and love for their work shows in the exquisite craftsmanship and quality of the kitchens they design and build. From the first design consultation through the final end product, Precise Kitchens and Cabinets strive for great customer service and products. 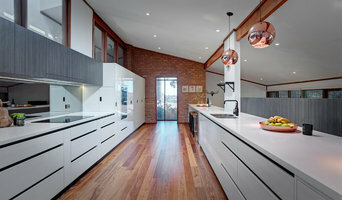 There are many types of kitchen professionals in Adelaide, South Australia – from cabinet makers, to carpenters and interior designers – and many trade professionals offer a full suite of expertise. Depending on the size of your kitchen renovation, and the kitchen designer, they may also hire contractors on your behalf and manage the project from beginning to end. Here are some related professionals and vendors to complement the work of kitchen & bathroom designers: Kitchen & Bathroom Fixtures, Appliances, Tile, Stone & Benchtops, Joinery and Cabinet Makers, Carpenters. 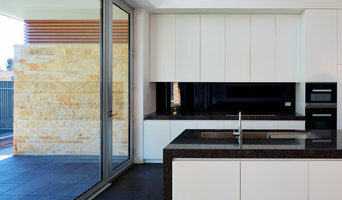 Find an Adelaide, South Australia kitchen designer on Houzz. 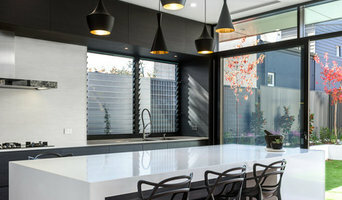 Browse the Professional section on Houzz to find kitchen designers in Adelaide, South Australia. Then, scroll through photos of their latest kitchen renovations and see how their work compares to the scope of your project. You can read reviews to see how other homeowners rate their work, and message them directly to to ask any specific questions.